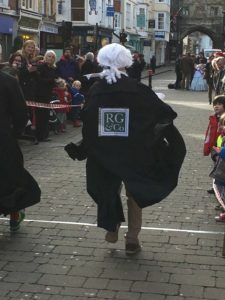 Semi-finalist in Salisbury's Pancake Race | Richard Griffiths & Co.
Richard Fisher represented Richard Griffiths & Co in Salisbury’s annual pancake race on 9th February, Shrove Tuesday. 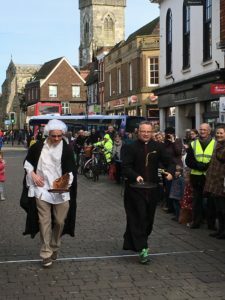 Raising money for the Trussell Trust, Richard was challenged to race up and down Salisbury’s High Street whilst flipping a pancake as many times as possible and donning a fancy dress outfit. 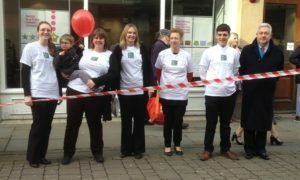 Competing against other local businesses and shops, Richard succeeded in becoming a semi-finalist!